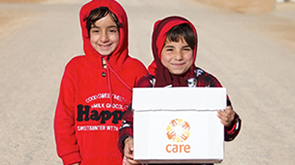 CARE has worked in Papua New Guinea since 1989. The country is richly endowed with natural resources, but is hampered by its rugged terrain and the high cost of developing infrastructure. We work with communities to manage natural resources and increase crop diversity. We help communities access non-formal education and small grants and find innovative ways to earn a living. We provide training and support in governance, gender awareness, health and nutrition, and HIV prevention and care. All our programmes address gender-based violence and aim to increase women’s opportunities to participate and thrive. From mid-2015 onwards, the PNG highlands experienced widespread impacts from the El Nino weather phenomenon, including drought and localised frosts. With the most affected regions being agricultural hubs of the country, the repercussions on food security and the national economy were felt country-wide. With funding from the European Union, CARE undertook an integrated mitigation and resilience package that focused on public health and disease prevention, food security and agricultural resilience across severely drought-affected locations in six districts of the Western Highlands, Eastern Highlands and Chimbu Provinces. The photo above shows a health worker measuring the circumference of a baby's arm for signs of malnutrition. The relief distribution was unbelievable because it covered so many households, many wards, and all distributions were completed on the same day! The distribution kit contained many items that help us in many ways – fetching and storing additional water, bathing with soap, and the tinned fish is providing us high protein. We are very happy! 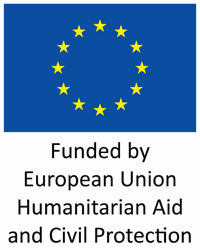 The project ran from January to September 2016 and was funded by ECHO (European Commission Humanitarian Aid and Civil Protection).